SALE: Signed photo of Antonio Luna the Aston Villa footballer. 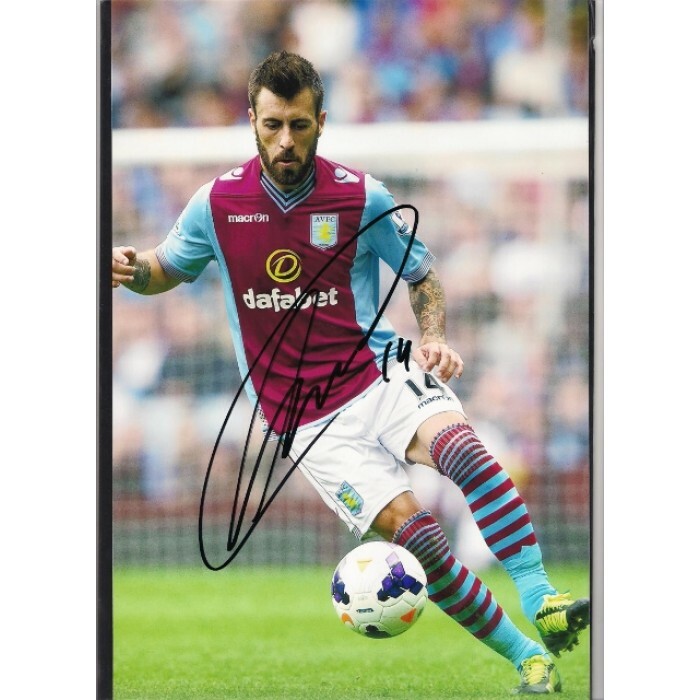 Home » SALE: Signed photo of Antonio Luna the Aston Villa footballer. Antonio Luna. This is a really 8 x 12 (20 x 30) colour photograph of Antonio Luna the Aston Villa footballer. This photo is of great quality and shows Antonio Luna in full length action. The photo has been hand signed in fine black marker pen by Luna. Antonio Luna has played 10 league games for Villa since he joined them in 2013 (as at Dec. 2013). This really is a nice collector’s piece and very reasonably priced at £4.99. NOW £2.99!!!!! !